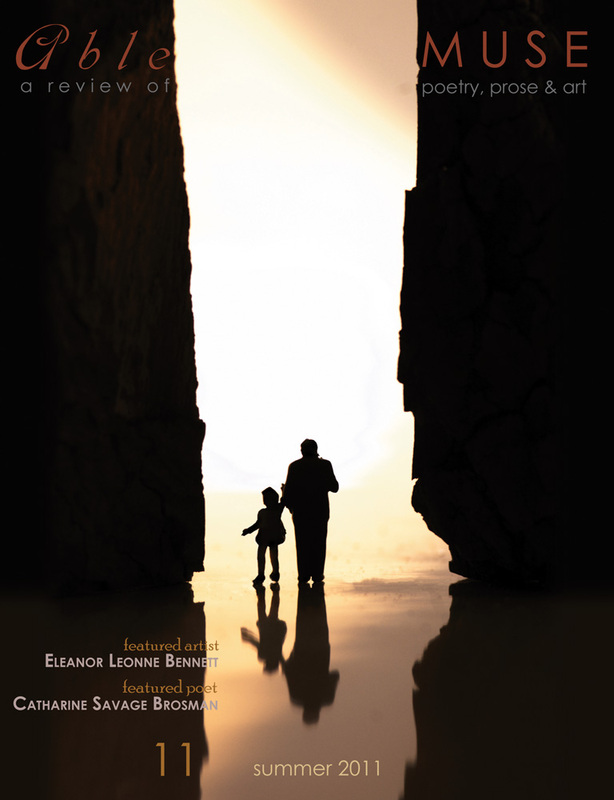 This is the seminannual Able Muse Review (Print Edition) - Summer, 2011 issue. This issue continues the tradition of masterfully crafted poetry, fiction, essays, art & photography, and book reviews that have become synonymous with the Able Muse—online and in print. 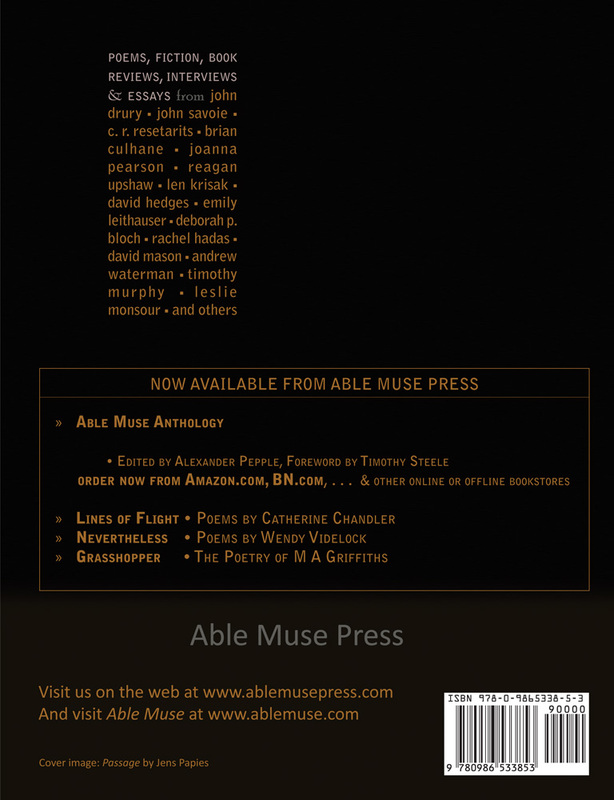 After more than a decade of online publishing excellence, Able Muse the second issue of the print edition is here, highlighting works of the same superlative standard as presented all these years in the online edition, and, the recently released Able Muse Anthology (Able Muse Press, 2010). FEATURED ARTIST — Eleanor Leonne Bennett. FICTION — Deborah P. Bloch, Catherine Sharpe, Traci Chee. ESSAYS — Rachel Hadas, Andrew Waterman, David Mason. BOOK REVIEWS — Leslie Monsour, Alexander Pepple. POETRY — Reagan Upshaw, John Drury, Joanna Pearson, John Savoie, David Hedges, Brian Culhane, Rilke (Translated by Len Krisak), C. R. Resetarits, Emily Leithauser, Nicholas Friedman, Christine de Pisan (Translated by Maryann Corbett), Rory Waterman, Robert Cooperman, Mebane Robertson, Laura Heidy-Halberstein.